Why The Heart Doctor Might Give Your Hairline The Once-Over : Shots - Health News A study in Denmark finds that visible signs of aging, such as a receding hairline and fatty deposits around the eyelids, may be a sign that you're at a greater risk for heart disease than others your age. But don't skip getting your cholesterol and blood pressure checked. Whether you're fighting to hold onto your youth or wear your age proudly, visible signs of aging are pretty much inevitable. But if you're looking particularly ragged before your time, researchers say it could be a reason to check with a cardiologist. A 35-year study involving 11,000 people in Denmark suggests that the presence of several telltale signs of aging, like baldness and receding hairline, may flag a person's risk for a heart attack or heart disease. The research will be presented today at the American Heart Association's Scientific Sessions in Los Angeles. Dr. Anne Tybjaerg-Hansen, chief physician at the department of clinical biochemistry at Copenhagen University Hospital and lead author of the study, tells Shots that physical exams there often included an assessment of whether a patient looks older or younger than his or her actual age, but the observations didn't have a specific health purpose. "It was something that had been recorded at the [hospital] way back to 1976 ... and then nobody ever used it," Tybjaerg-Hansen says. "I thought it would be interesting to look at whether this practice of just looking at people really could be made more predictive." For the study, trained nurses measured signs of aging that included baldness at the crown of the head, receding hairline, fatty deposits around the eyelids, earlobe crease and arcus cornea (a light ring around the iris of the eye). Researchers found that heart attacks were observed in over 25 percent of study participants who exhibited three to four of these visible aging signs, but occurred in less than 10 percent of people in the same age group who didn't show those signs. The study also showed that people 50 to 59 years old with three to four of these signs had roughly a 20 percent risk of developing heart disease. That's the same risk as a someone 60 to 69 years old who exhibits none of these traits associated with aging. 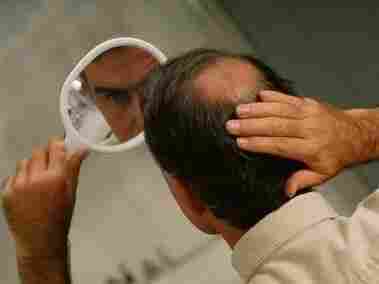 The researchers don't yet know if there's a direct link between these traits of aging and heart health, but Tybjaerg-Hansen said it's possible that free testosterone acting on the hair follicles and the walls of blood vessels could cause both baldness and cardiovascular disease. Similarly, she says, a change in the connective tissue of the arterial wall could also be reflected in the connective tissue causing earlobe crease. Though these traits can help determine disease risk, it's not likely they'll replace the assessment of well-documented risk factors, such as cholesterol levels, blood pressure, and smoking. "This study is additive to a lot of the other testing and signs of heart disease that we already have established, yet I still think we need to continue to monitor our standard testing for heart disease risk such as measuring cholesterol, blood pressure, glucose for diabetes," said Nieca Goldberg, M.D., spokesperson for the American Heart Association, in a statement regarding the study. But these visible signs may help detect the risk of heart attack and heart disease in patients who have normal cholesterol, blood pressure and body weight, Tybjaerg-Hansen says. "There's a risk [in some people] that's not explained by conventional risk factors," she says.